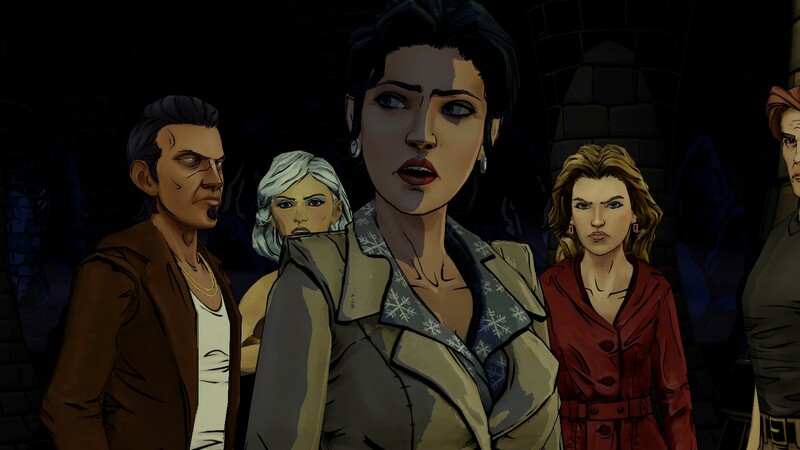 The final episode of what I hope is just this season for The Wolf Among Us has landed, and it’s delivered on a number of things in its shorter than average run time that I wasn’t expecting. It also gives you a lot of leeway within those sixty minutes to take what you’d done with the other four episodes and still turn it all on its head, giving the player a lot of different results within the framework of the story. It’s a completely satisfying conclusion to the story, while still leaving some things left unfinished but not leaving a player feeling like they were cheated out of a complete tale. So what does all this involve? Let’s take a look. If you haven’t played Episodes One through Four, you’re probably not going to want to read this review for a few paragraphs. I’m going to be revisiting some of the things that come around in this episode from events that started in the others. There’s a few spoilers here for Episode Five as well, but I’ll try to keep it to a minimum. You’ve been warned. Now, when we left Bigby in Episode Four, he’d found the Crooked Man’s hideout and had been offered a chance to chat with all of the Crooked Man’s associates there as back-up. The Tweedles, Georgie, Jersey, and Vivian all surround the Crooked Man and, depending on how you play it out, all hell will break loose. That’s, of course, when Bloody Mary shows up to get the Crooked Man out, and you’re left trying to chase down two groups of people attempting to get away, which leaves two options. The way I played it, I ended up going after one group and got information to track down the others. This all leads up to a fantastic fight sequence between Bigby and Bloody Mary that got its start back in Episode Three. It is a bit of quick time events and well placed ducking, but the effect is well worth it. This leads you to your next problem as Bigby: the Crooked Man. 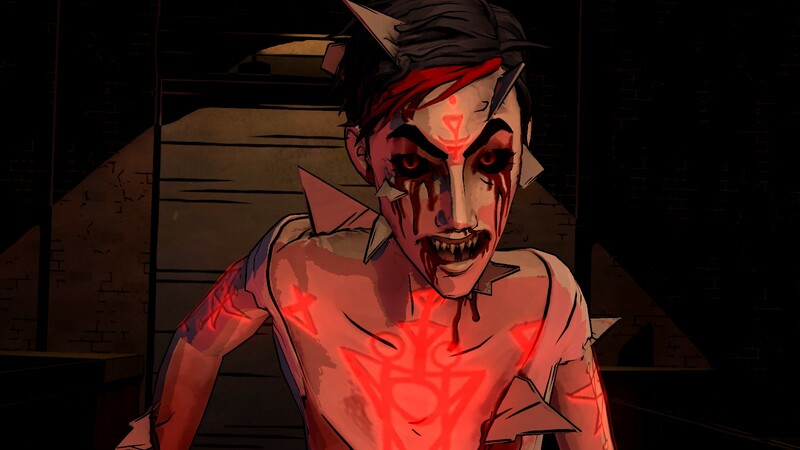 He’s probably one of the bigger issues and decisions in this episode, and depending on how you play it, he’ll continue to be one if you take him in alive. 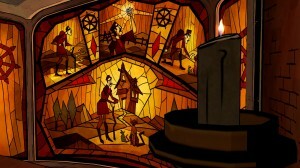 This all plays out with a meaty scene involving most of the Fables you’ve had dealings with as Bigby in earlier episodes, including Snow, Grendel, Lily, Beauty, Beast, the Butcher and Aunty Greenleaf, who are looking for some justice for what’s transpired. I know the running joke with the Walking Dead series is that characters will remember things, and well, they had that here as well, but Episode Five makes that point loud and clear with who sides with whom at the end of this episode, as well as how you can deal with them to try and bring them over to your line of thinking. Even through all of this, you still have options and can still sway things completely askew or follow along with where you think your Bigby should be heading. It’s a very versatile and still satisfying way for them to bring this little Fables noir story to a close, and yet, you’re going to be looking at a very similar ending that ties back to little bits throughout each of the episodes at the end of it all. It leaves the series open for another season, but at the same time, makes sure that if you’re only playing this season there’s a definite pay off for the person playing, which is great. Choices definitely matter here, while some are far more impactful than others, especially within the episode itself, seeing results from your previous actions bearing fruit here was far more satisfying all around. Visually the colors are definitely back in full force, where they were a bit under-utilized in the last installment. It looks great, the characters are still well animated and the few transformation sequences are handled really well, playing out like you’d see in a film or TV show. The voice actors do a fantastic job yet again, and there are a number of moments where my choices might have made me choke up a little just from the delivery of the voice actors alone. It’s a really well done way to end this run of episodes. 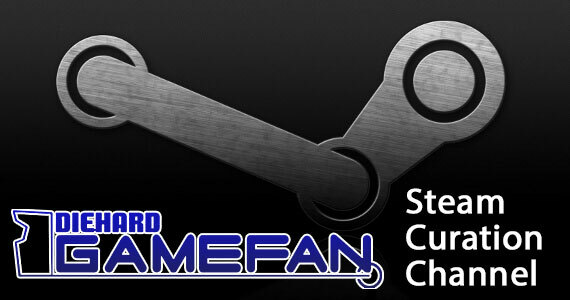 Now, I’m not going to go into the control and gameplay portion of this. For that, you can look to my review for Episode One. I will say that the controls are pretty much the same as before, and the first half of the episode is going to be a feast of quick time events between a few pieces of dialogue before it slows down a bit. 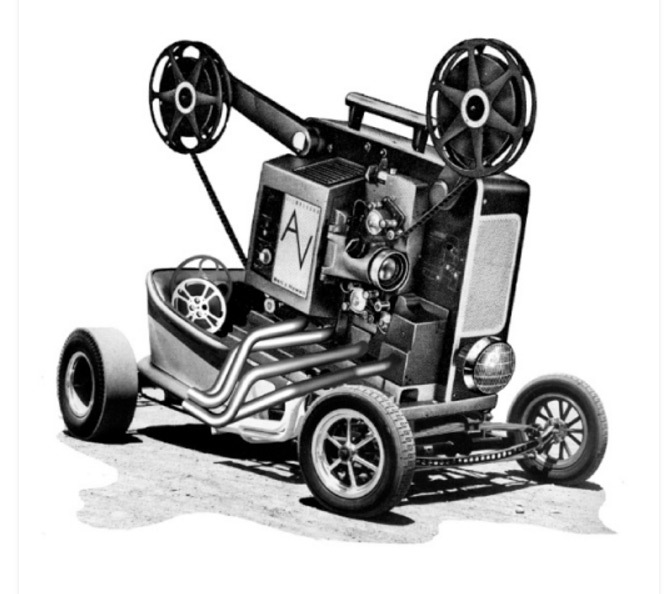 Be prepared to hit the ground running. Where does that leave you with replayability? Well, there are a few major ways you can replay just this one episode alone. This is the first episode, though, that didn’t offer up the option for an achievement that could go either way that I could see, so you’ll only have to play it through once to get everything off of it in that regard, but there’s a lot to be said for playing through just to see how it plays out if you pick some other way of doing things. The story design here is really well done, even with the shorter run time. But, you say, doesn’t that cut into the value of the episode? Well, not really. It shortens the overall length of the whole season to about eight to eight and a half hours if you blow right through in one playthrough. 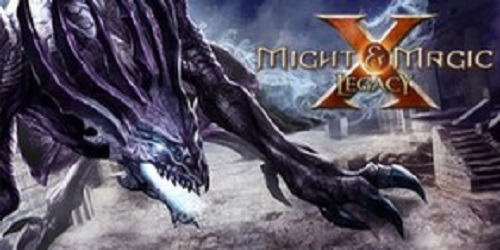 Yes, it’s not that coveted ten hour play time for a single player AAA action title; however, I would take this story over most any day, and it’s less than half the price of one of those releases. On the other hand, the shorter run time for the episode means that they could put more work in to making things really different for each playthrough and decision, which I’m pretty sure is why it is a little shorter. This is still a pretty combat intensive affair at the start, moreso than any other episode before it. Be prepared for that. The ending to the episode did play out a lot like a few movies I saw back in the nineties, with that little niggling twist that works so perfectly with everything you’ve played through. I do think that you’ll get more out of playing the episodes much closer together than separate, and it definitely doesn’t feel like it’s borrowing from anything but its source material, even with the little homage at the end. 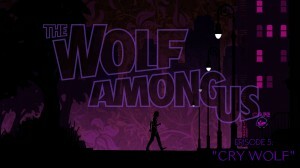 The Wolf Among Us is definitely a great and unique story, even if we haven’t seen much in regards to how Telltale involves the player since The Walking Dead hit it big. It’s a good formula for telling stories to get players involved, I’m just hoping people don’t tire of it, because I’d love to see more of these and am loving it. The series, and this episode in particular, have had me glued to my PC when I’m playing them, cursing when I get pulled away to take care of something else. So much so that I picked it up on the PS3 as well, just so I could play it on my TV without having to go through the annoyance of hooking my laptop up to the big screen. They’ve got engaging and interesting characters, a striking visual style, and they’ve nailed that noir feeling that keeps us interested in the mystery as well as our hero and his friends. So what is so appealing about this series? The characters, the concept, the striking visuals that feel like a comic and video game all at the same time, the story, the mystery? All of these things add up to a great eight hour romp that is a blast to play through and won’t rob you blind buying it when it’s not on sale. Telltale has quickly become one of those companies that I’m going to start buying a season pass to pretty much every title they put out, just because they’ve done such a great job with their two current series. I do have to say, I appreciate how fast the game loads on my PC since I started playing it on the PS3. There isn’t any stutter when a scene first starts up, they flip between the scenes with ease and the problems I had with a few of their earlier titles on PC have been completely ironed out. 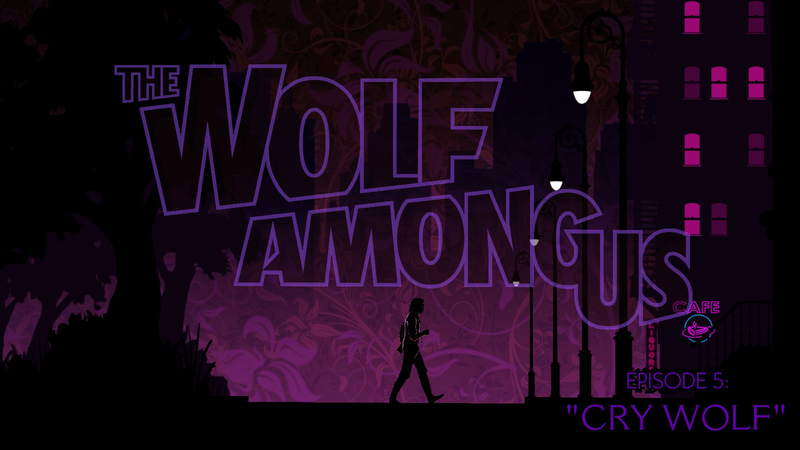 It’s been a great ride with The Wolf Among Us, and I’m hoping that they decide to turn out another season if they can keep it at this caliber of story-telling, as it’s a great game. 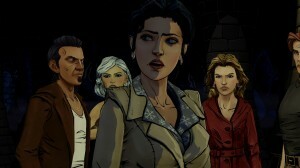 The Wolf Among Us final episode for this season manages to tie up most of the loose ends of the story, but does it so you can pretty much guide the ultimate fate of a number of characters even through this episode while they still tie your previous actions into a rather meaty dramatic confrontation. It’s an entirely satisfying conclusion to this story while still leaving enough questions and mystery out there to warrant a further look into what’s actually going on in Fabletown and seeing what they can throw against Snow and Bigby once more. While I do wish we’d gotten a few things resolved before the end, it’s not a make or break for the series and instead acts as that little lure to keep you wondering. Telltale delivered a great set of five episodes that are well worth putting the time and money into if you’re a gamer on a budget, and if you’re not on a budget you should already have this in your collection. Go get it.